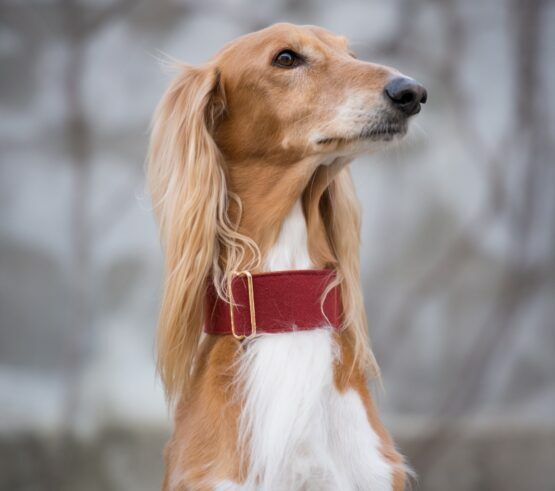 Our beautiful Wine Red Martingale Collar. 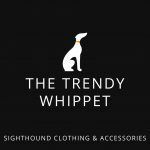 Super Soft, Super Sturdy, Super Trendy! 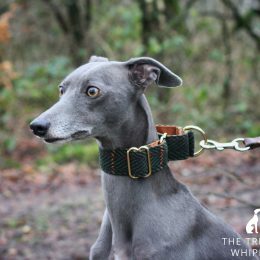 The perfect Martingale for any Whippet, Italian Greyhound, Greyhound or Lurcher. 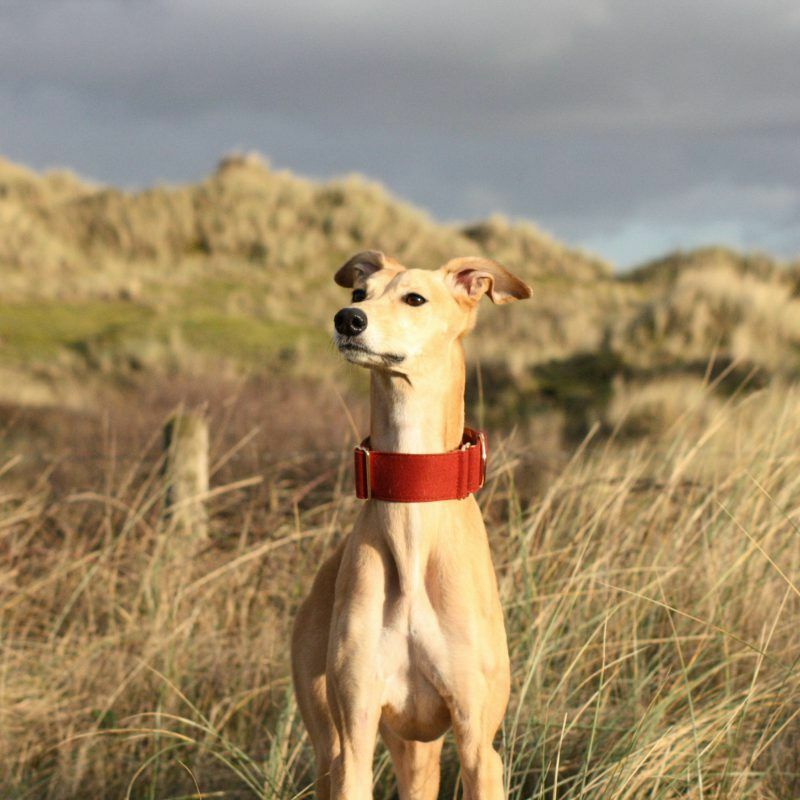 Our beautiful Martingale Sighthound Collar in Wine Red. 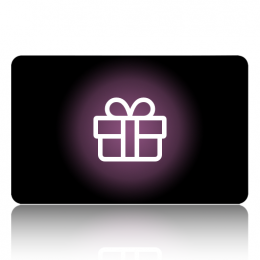 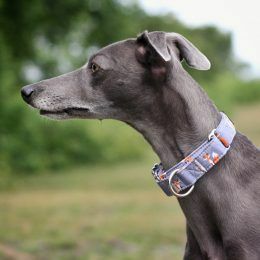 The Collars are made from super soft Wine Red fabric with a soft rust colour cotton backing. 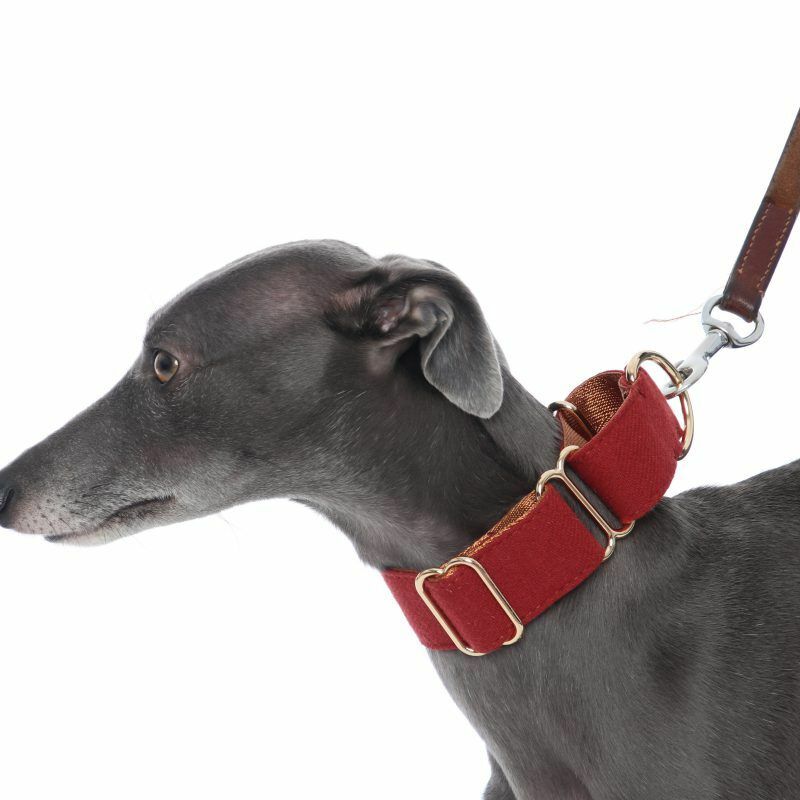 Hand Crafted with strong brass fittings. 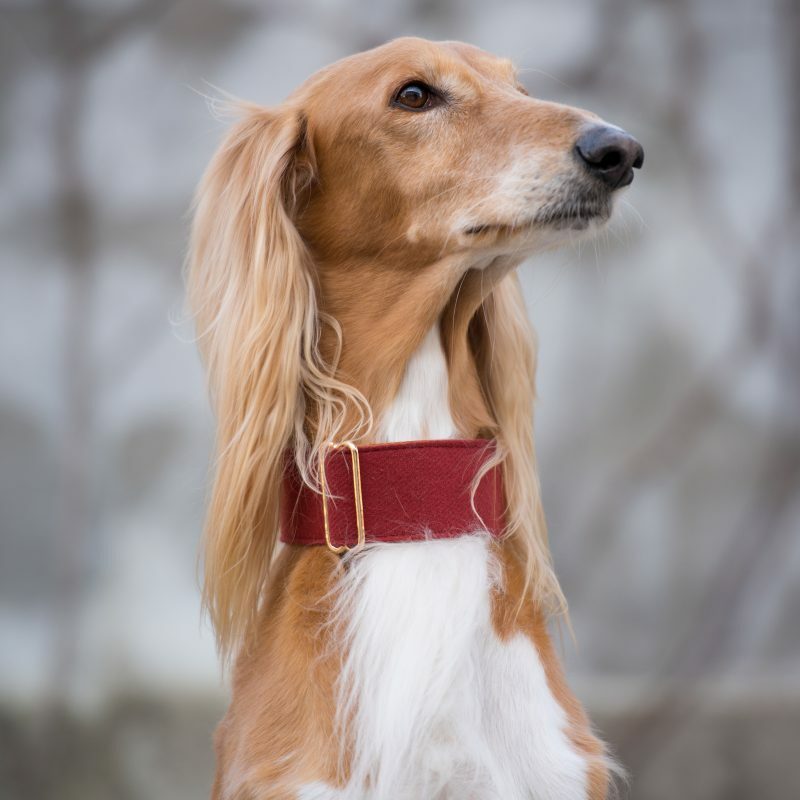 A Martingale Collar is a type of collar that provides more control over the dog without the risk of choking like some other collars. 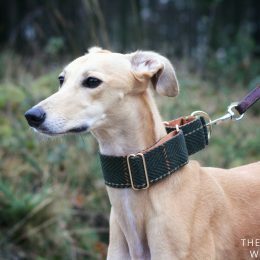 With thin necks and petite heads, Sighthounds need collars that will not easily slip off. 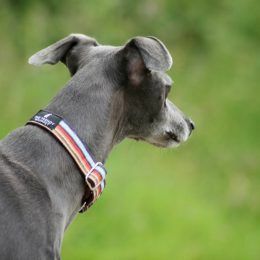 Simply slip the collar over the head and adjust the slide to fit the width of the neck. 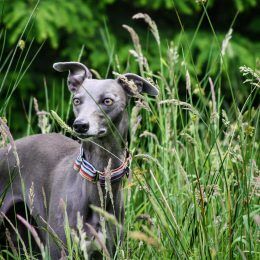 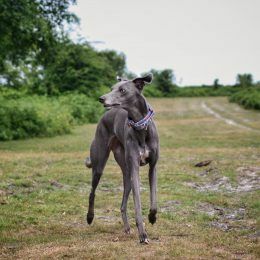 Also, these special collars help to prevent the dog from backing out of the collar which is a problem for most Sighthound breeds, whether it is a Whippet, Greyhound, Lurcher, Italian Greyhound, Saluki or any other Sighthound.